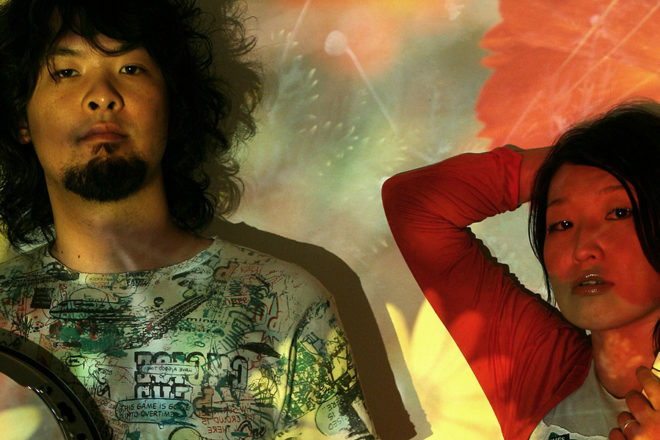 Four years after the release of their debut album Outflow, Japan’s Small Color, a duo comprised of Rie Yoshihara (aka Trico!) (accordion, voice, vintage keyboard instruments) and Yusuke Onishi (guitar, banjo, bass, programming and production) are back with the beautifully polished In Light. This album marks what some may consider a departure for 12k: sublime and gentle, minimal, acoustic J-pop, which once may have been destined for the now-defunct Happy label, but can now sit comfortably beside 12k’s roster of electronic/acoustic ambient hybrids. For the past 4 years, Small Color has been performing live and honing their sound. Inspired mostly by the very act of performing and the way their sound relates to interactions with a live audience, In Light is truly a mature album with a very focused aesthetic. Being primarily an acoustic band, their recordings are not created in front of a computer screen. With the musicianship of Yoshihara, an accomplished accordion player and instructor, and Onishi, who plays guitar for many artists in Japan, live performance and songwriting are what Small Color is all about, as is quite evident on In Light. 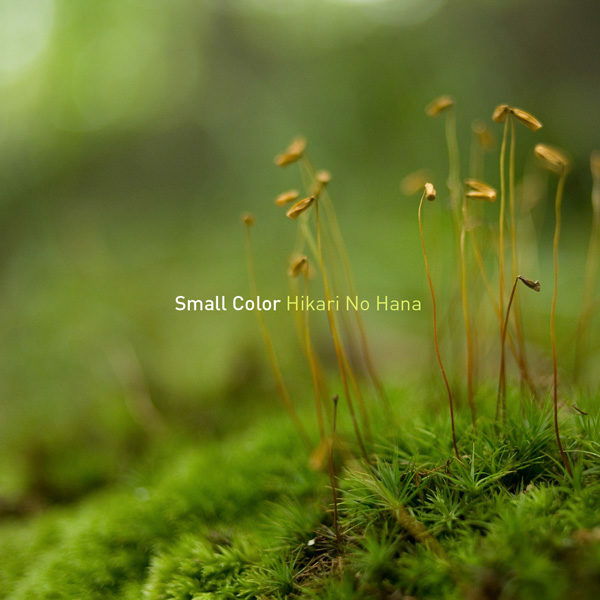 Small Color’s sound encompasses many moods in its modest shell: joy, sorrow, love and sadness, the feelings of everyday life, with influences from such diverse musical genres as jazz, world music, pop and experimentalism, as well as design, architecture and cooking (Rie is an accomplished chef and has a recipe book being published in the near future). Their songs are delicate yet rich in texture, brimming with the warm sounds of electric pianos, acoustic guitar, glockenspiel, accordion, toy pianos and a studio full of other instruments accented by small beatboxes, electronic sprinklings, and Rie’s faraway and lulling voice with lyrics in both Japanese and English. 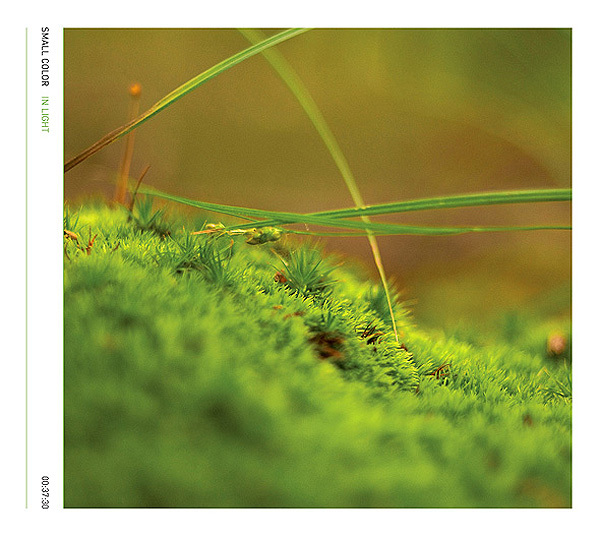 I am mostly surprised to hear this kind of album coming from 12k, a label usually offering ambient experimental electronica. Onishi aparte de la guitarra toca el bajo y el banjo y por su parte Yoshihara emplea además de su acordeón, su voz, xilófono, pianos de juguete y órgano. Las carátulas siguen las tendencias de 12k. one of the most immediately engaging pop recordings one would be lucky enough to hear this year. Quite a daring move for 12k, but, like said; a release that fits really well on this great label.